The Nokia 3310, the phone that was renowned for its sturdiness and seemingly never-ending battery life, is returning in a "colorful reimagining." 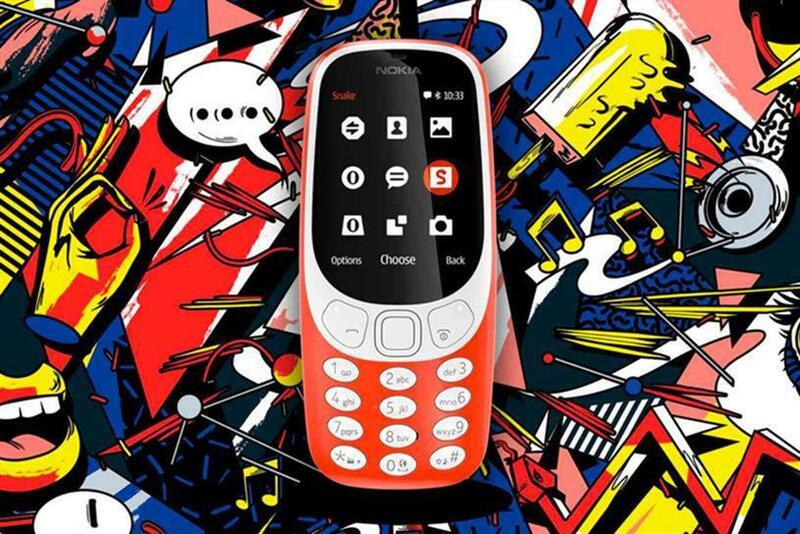 Finnish startup HMD global, which is licensed to make Nokia phones, confirmed at Mobile World Congress that the Nokia 3310 would be brought back with a "modern twist." The Nokia 3310 was released over 15 years ago and became one of the best-selling feature phones in history, and its popularity was boosted by the built-in Snake game. As part of the re-release of the Nokia 3310, HMD announced it would also relaunch Snake, which will be available to play on Facebook Messenger as part of Facebook’s Instant Games cross platform experience. The Nokia 3310 will have a talk time of 22 hours and a month-long stand-by. It is available in four colors—"warm Red" and yellow, both with a gloss finish, and dark blue and grey, both with a matte finish. The average global retail price will be Nokia 3310 will be $52. Juho Sarvikas, chief product officer at HMD Global, said: "Nokia phones stir real emotions. People know them for their beautiful design and craftsmanship, together with a built-to-last quality that you can rely on. "We wanted to reward loyal Nokia phone fans and make a statement that rich heritage, innovation and modern design can go hand-in-hand. Fundamentally, it is about making sure that right across our portfolio we are delivering this pure Nokia experience. "We also believe that everyone deserves access to the premium quality and attention to detail that is usually reserved only for flagship devices. With our new range of Nokia smartphones, we aim to democratize technology and bring this experience to everyone." Pekka Rantala, the global chief marketing officer, HMD, said: "Consumers today are seeking relationships with brands that they can trust. "The Nokia brand has over 150 years of heritage giving it an authentic, differentiating experience which we are proud to introduce to a new generation of fans. HMD Global is also releasing three Android Nokia smartphones as part of its portfolio of Nokia products. The Nokia 6 aims to deliver "performance and immersive entertainment in a premium and extremely robust design, while the Nokia 5 is an "elegant smartphone that fits perfectly in your hand." The final smartphone in the portfolio is the Nokia 3, which delivers an "unprecedented quality at an affordable price point."